Unfortunately, single parents that depend upon child support payments have been facing significant delays from the state of Florida. Reports have surfaced that direct deposits received over a month ago have still not been distributed to parents. This has many parents concerned, as these payments are supposed to be made on a direct deposit basis, causing confusion concerning payment delays. And when these parents try to reach people at the Department of Revenue (DOR), they are unable to speak with an actual person. If your child’s parent is not complying with a prior court order, you must file a Motion for Contempt/Enforcement to initiate a civil contempt/enforcement proceeding against the child’s parent. It is advisable that you have an experienced family law attorney assist you with this process because forms such as the Child Support Guidelines Worksheet and Financial Affidavit can be confusing. The Florida Department of Revenue, Enforcement of Child Support Orders also takes action when child support payments are not made as ordered. Late payment notices are supposed to be mailed to the parent who owes support if they are not made on time. In addition, income withholding notices can be sent to their employers and other sources of income so that payments can be made and sent directly to the Department. Sometimes a delinquent parent can also receive notice that their driver’s license has been suspended, but the Department will work with them to resolve payment issues related to this. A parent may also be asked to come into a local child support office to negotiate a written agreement to pay past-due support. What about Delays from the Department of Revenue? Unfortunately, delays in getting child support payments to recipients is not a new issue with the DOR. While reasonable delays can sometimes be expected, forcing parents dependent upon child support to go into poverty and debt is not acceptable, and there is legal recourse. It is entirely possible that the agency needs more caseworkers and better training for those overseeing the program, as well as stricter compliance with federal requirements. You should not be forced to live on financial edge due to the agency’s delays. If you are on your own or depend on child support payments in the state of Florida, we understand that these payments are a crucial component of the agreement that you made with your child’s parent. 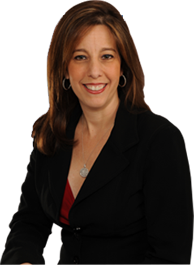 For more information on how we can assist you, please contact Sandra Bonfiglio, P.A. to schedule a consultation. Our offices are in Fort Lauderdale and we serve clients in Boca Raton and throughout Broward County. Sandra Bonfiglio, P.A. is located in Fort Lauderdale, FL and serves clients in and around Hollywood, Pompano Beach, Fort Lauderdale, Deerfield Beach, Dania, Pembroke Pines, Boca Raton, North Miami Beach, Opa Locka, Delray Beach, Miami, Hialeah, Broward County and Miami-dade County. When do Child Support Obligations End? © 2016 - 2019 Sandra Bonfiglio, P.A. All rights reserved.